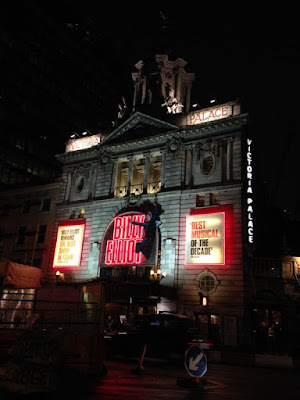 It was my 21st birthday on Monday, so last Saturday as an early birthday celebration my family and I went to London to see Billy Elliot the musical at the Victoria Palace Theatre. 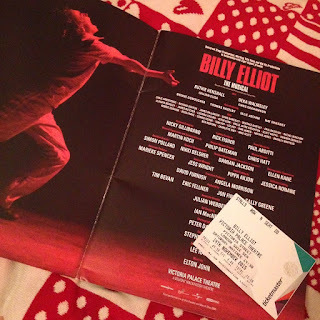 It had been a good few years since I’d seen a proper West End show so I was incredibly excited as I adore musicals and a lot of my friends had recommended Billy Elliot, giving it rave reviews which is the reason we decided to go and see it! We had really good seats in the stalls (which was good for me because I can’t stand heights! ), only about 15 rows back from the stage with nobody in front of us for the first Act which meant we had an amazing view. I’m not going to give away too many specific details about the plot just in case people haven’t seen the show and are planning to, but the storyline was changed slightly from the film and adapted for the stage which I thought worked really well. Almost right from the start you are thrown into the action with incredible dancing; all of the dancers, most of them couldn’t be older than about 12, were perfectly in sync and had their routines choreographed and perfected down to a tee. One of my favourite aspects of the show which I thought worked really well and was incredibly creative were the parts when ballet dancing and the confrontations between the police and the striking miners were both taking place on the stage at the same time. The young dancers in their pink tutus and ballet shoes elegantly weaving in and out between the brutality of the policemen trying to fight off the miners was an extremely powerful contrast which showed that the two were happening at the same time and seeing it on stage had a huge impact. All of the songs were performed and sung amazingly well by all of the actors/actresses, but obviously the star of the show was the boy who played Billy. He was an absolutely incredible dancer despite probably only being about 12, he danced with so much passion that you could literally feel every emotion not only when he danced but when he sang as well. 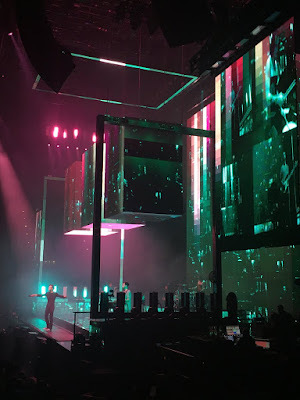 The stamina and talent it must have taken for him to convey such emotion and feeling at such a young age was truly awe-inspiring and really made the show more special than any other I have ever seen before. Overall, the entire show was just the perfect balance of emotions; very poignant and emotional in parts, in other parts anger but for the majority it was incredibly funny and uplifting and we left the theatre feeling amazed, overawed and wishing we could dance and sing like that! So if you haven’t seen Billy Elliot the musical, I 100% recommend it if you’re looking for a show to see or the next time you get the opportunity to see one, it most definitely will not disappoint.